User Showcase / Warfront Defenders: Westerplatte Released! 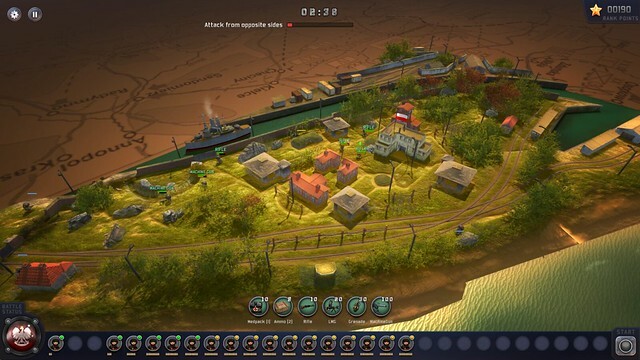 Warfront Defenders: Westerplatte is a tactical defense mini game based on WW2. A single player hybrid of Tower Defense and Real Time Strategy. Played on a diorama inspired by the historical Battle of Westerplatte, Poland which marked the start of World War 2. Is now available via Steam Early Access. Yes, it's 100% Playmaker. Need your support and feedback to realize this game to its full potential. Warfront Defenders: Westerplatte is pitched on Greenlight. Need all your support. Please vote for us. I've started working on a set of actions for Apex Path. And you can access the beta right now. The Apex Path suite is clearly unique and holds much possibilities and workflows alternate to A* or Navmesh Pathfinding. Now, for this suite of actions I've not made it the way I want to access it via PlayMaker. Rather, I've kept the development phase open to suggestions for this integration. I've released a basic set of the actions in Asset Store and right now developing the full suite. During this Beta phase you can test out and suggest workflows. I believe with your suggestions it will be much more useful than ever. After buying you can mail me to get into the Beta discussion group. Please mention your invoice no. Just finished an entry for #altctrlgamejam, had to share with you. This is a game with an arduino based custom controller which fits like an arduino shield. The game is a vertical space shooter, when you drive a space battleship with 3 turrets and a special gun (star blaster). The custom controller is a 3d printed scale model replica of the ship in game. Apart from visual similarities, you can control the 3 turrets of the game simultaneously by turning the turrets of the scale replica controller. Also, you can fire the big gun at some point of the game. Also, you can get visual feedback from the game on the LED of the big gun on the controller. Hardware : Arduino Uno, 3 Trimpots, LED, push button switch. Please rate it if you like. I've made a pack of actions to use LeanTween in PlayMaker. Check it out. These Scripts bridges Asset Playmaker and LeanTween, so it requires these two package to function. Heist PlayMaker Kit is a PC and Mobile Stealth Game Template. This project is made using Hutong Games Playmaker. And PlayMaker is needed to use this kit. The core mechanics reflects components of a stealth game with custom actions for FOV Mesh generation, Cone of Vision and NPC Patrol. This Kit is Mobile Ready. There’s also an webplayer/keyboard controller set for mouse based input in the project. I'm working on my next PlayMaker Kit. It's kinda based on classic Heist Games and recent hits like Monaco. I plan to make it mobile ready. Started off with the central custom action for this kit. The HeistFOVMesh. This kit will have a set of custom action like this. FPS PlayMaker Kit is an end to end PC and Mobile FPS Game Template. This project is made using Hutong Games PlayMaker. The core mechanics reflects FPS components with Enemy AI Pathfinding and behavior. This Kit also illustrates the usage of both Unity Mecanim and Legacy animation system with PlayMaker. This kit is mobile-ready. There’s also a webplayer/keyboard controller set for mouse based input in the project. This will be a Maker’s year! As we complete the first year of Flying Robot Studios and proceed into another year, lets add some more fun to the mix. This year we will be venturing into hardware. Yeah mama, robot will be building robots this year. With a bunch of interactive toys and playsets alongside. And they will be opensourced. Available in DIY Kit form or 3D printable over the net/ using 3Dprinters. We will be hooking our favourite Unity with Arduino, codes will be C# and they will be a PlayMaker version of the codes for those who are in a hurry to create things and learn coding later. If you are already excited, bump me and tag along. Can’t wait to get started. Operate on Vertices is a collection of various operations, an ongoing project on operation on selected mesh vertices, selected through a vertices ID array. PMGAME got released in PMI Global Congress. So glad to see almost a year and half of work well recieved by the crowd. PMGAME is an educational game for project managers. This game will not only educate project managers by simulating real life project scenarios, but will serve as an evaluation tool for mentors who can put PMs in different situations and test their knowledge, management and leadership skills. 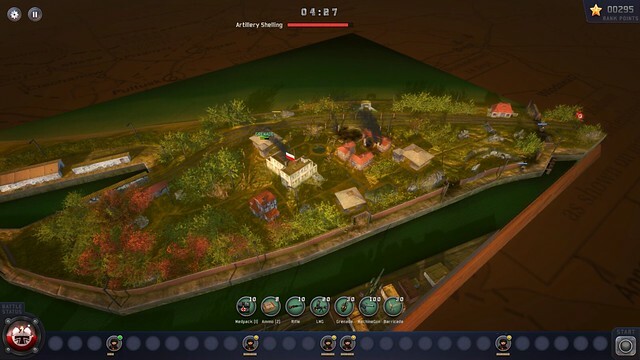 This game takes inspiration from RPGs and SIMs in particular. And features a project gantt simulator which forms the backbone of the game. The Game was designed by PMGAME LLC and Flying Robot Studios and developed by Flying Robot Studios using Unity. PlayMaker played a pivotal role as FSM in the development of the project simulator in particular. Can't thank enough to Alex and his collegues and community. Gets the closest vertices of a mesh from a vector position and stores them in a Vertex ID arraylist. With optional debug to see the selected vertices. This is the premise of some very powerful set of action for accessing and manipulating mesh vertices via ArrayLists. Another ArrayMaker Action. Uses line renderer to render vector positions of an arraylist. Quite useful if you want to draw lines dynamically. Added a scene for testing mousepick with it. To test the scene install with ArrayMaker. Imports a txt file from an absolute path into a string value at runtime. With a check if the file exists or not. You can further dig this string using ArrayMaker Split text to arraylist.